and some Blocks for "Aussie Hero's"
It is always fun to see how many projects you are working on! You certainly did have a full weekend... & on some wonderful projects. Oh Maria. That gnomes present block is so cute. I have so much to catch up on with ORL. I just hope I can get into it and finish the top before the next one comes out because I really want them done. Funny thing is most of it is cut out. Woo hoo Maria... Ringo Lake is looking good, but wow it's so much sewing. I'm always happy to see that someone else is working on multiple projects at once! Nice to hear you had such a nice weekend. Your Ringo Lake is looking great. 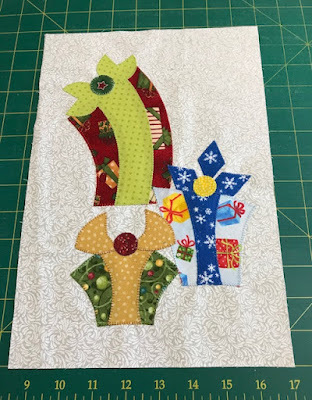 It seemed to take forever when I was sewing all those bits together. As they say....slow and steady wins the race. Your Aussie Hero blocks look so nice as does the newest gnome block. You are keeping up well with them. Wow--you got right in to stitching this week end didn't you!!! great work on all the projects--now to keep it going--!! It seems everytime I get a good jump on some projects--then that thing called life pops up and it is days before I can get back to it!!!! A full and busy weekend Maria - well done on your progress with Ringo Lake. 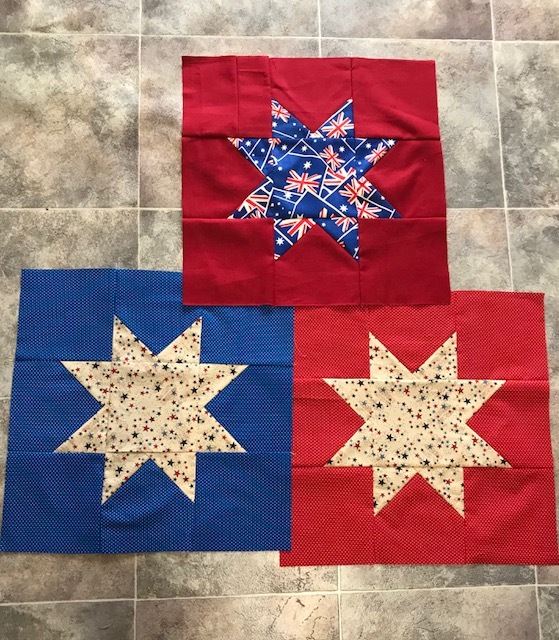 Your Gnomes block is cute and also great looking stars for your Hero quilt. Oh, my goodness, Maria, you’ve been a busy girl! And impressively so! I love your row, especially. 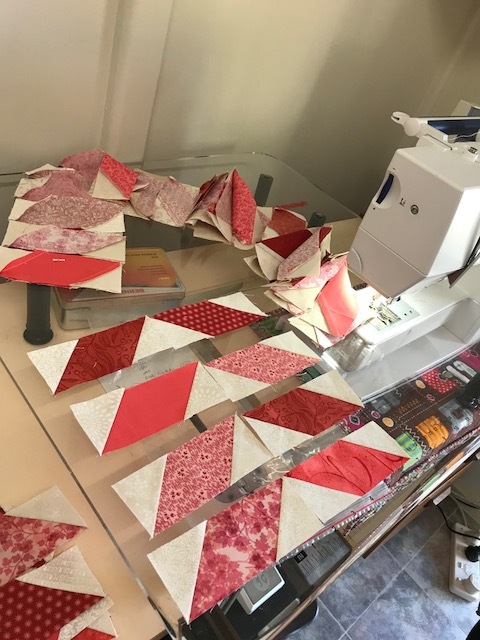 Lots of piecing! Wow, Maria! So many beautiful creations!!!! Well done, my friend. I llllllove the Aussie heroes stars!!!!!! Kisses!!!!!! !